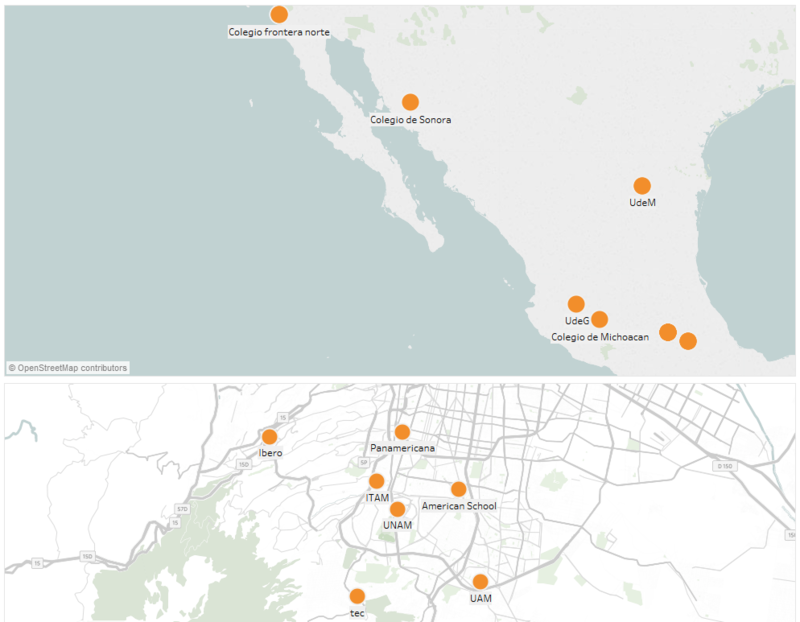 Alejandro is GEO’s Strategic Data Manager. 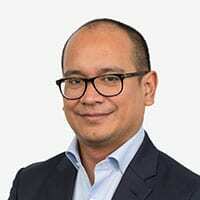 Through analysis of the various databases that UCL uses and produces, Alejandro monitors the levels, patterns and progress of global activity underway across the university, which helps track delivery of the Global Engagement Strategy. He tells us more about his work and reveals some interesting statistics about UCL’s collaborations abroad. 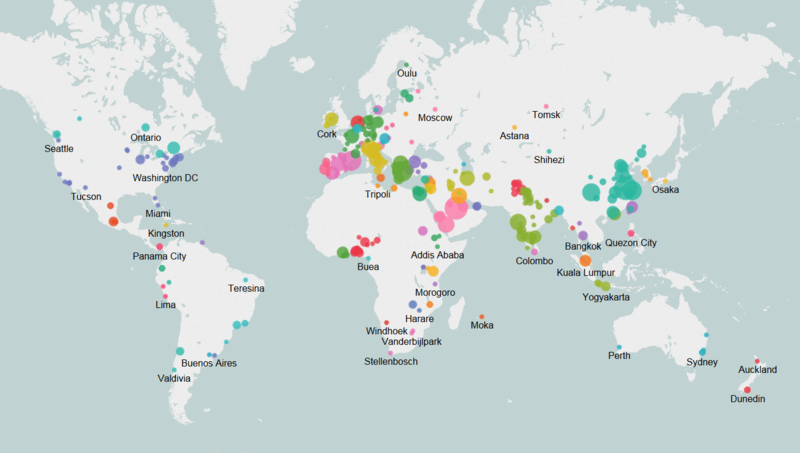 My role is to map UCL’s relationship with the world, one map at a time. The idea is that we have a database into how we interact across the globe, for example: How many students from Japan study in UCL? 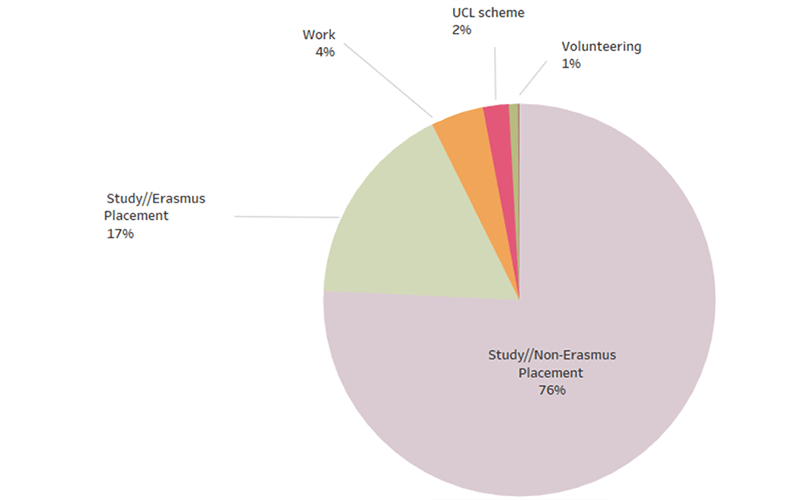 How may UCL graduates work in South Africa? How do we make an impact on South America rural areas? How many collaborations do we have with American Universities? Answering those questions is broadly speaking my role. How could you be of support to UCL staff outside of GEO? If there is a question as to what UCL is doing in certain geographical areas, or where we are collaborating with a specific institution, that is a query I can help with. Let’s assume an academic is travelling to Colombia for a conference: he could contact us and we could let him know which other academics have links in the country. That way he would be aware of UCL’s relationship with Colombia and know more about the specifics of collaborating there from first-hand experience. Could you share some interesting statistics on UCL’s global activity we might not ordinarily be aware of? 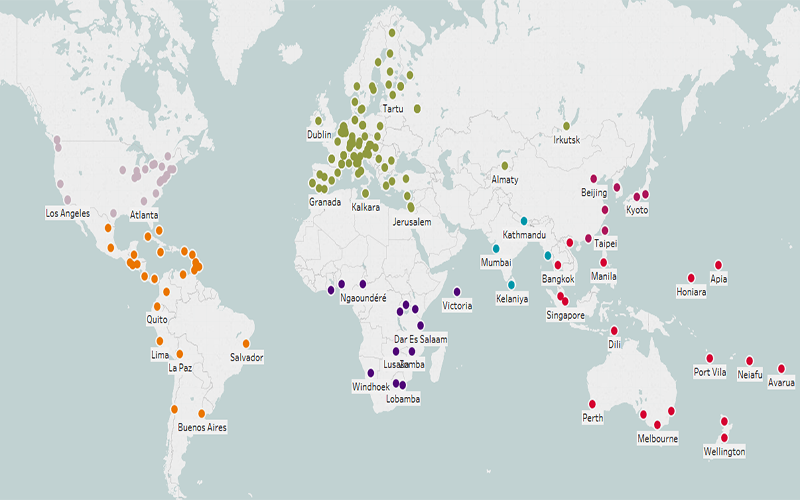 Sure, below is a sample showing our wide geographical reach in terms of institutions we have collaborated with. 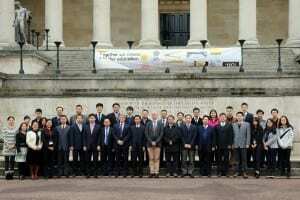 UCL has collaborated with around 1,000 institutions worldwide. 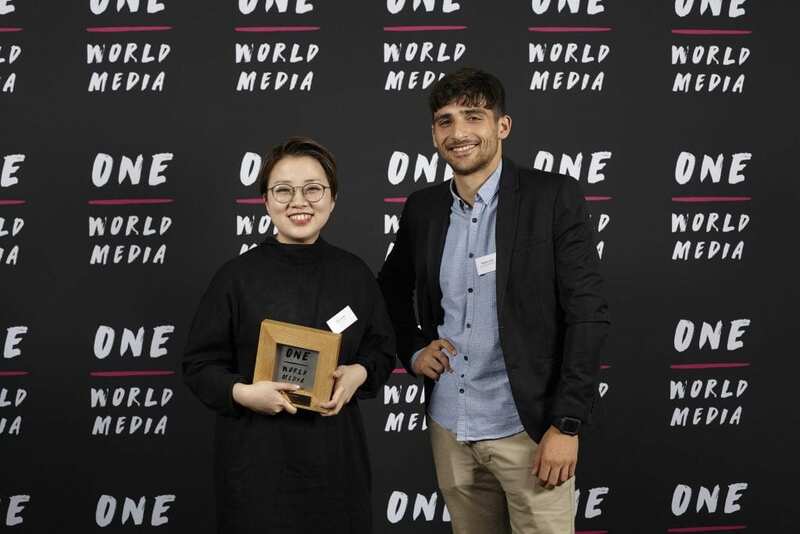 UCL graduate Minmin Wu (MA Ethnographic and Documentary Film 2016), has won the 2017 Student Award at the One World Media Awards for her graduation film Waste. Waste follows Yanin Ma, an 11-year- old girl living with leukaemia in China. Having spent the last month undergoing chemotherapy in Guangzhou City, she now wants only to go home. But Yanin’s hometown in Shantou is one of the most heavily polluted cities in the world and some believe this could be a cause of her illness. Minmin is the second Open City Docs School MA graduate to receive the accolade, after Fernando González Mitjans’ win for his graduation film Limpiadores in 2016. 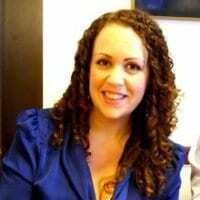 She was one of 25 who formed the second cohort of Masters students in UCL’s new MA in Ethnographic and Documentary Film. Her film exemplifies the kind of work the MA’s tutors set out to encourage – rooted in the research culture of a great university but made in the highly personal voice and cinematic vision of the filmmaker. 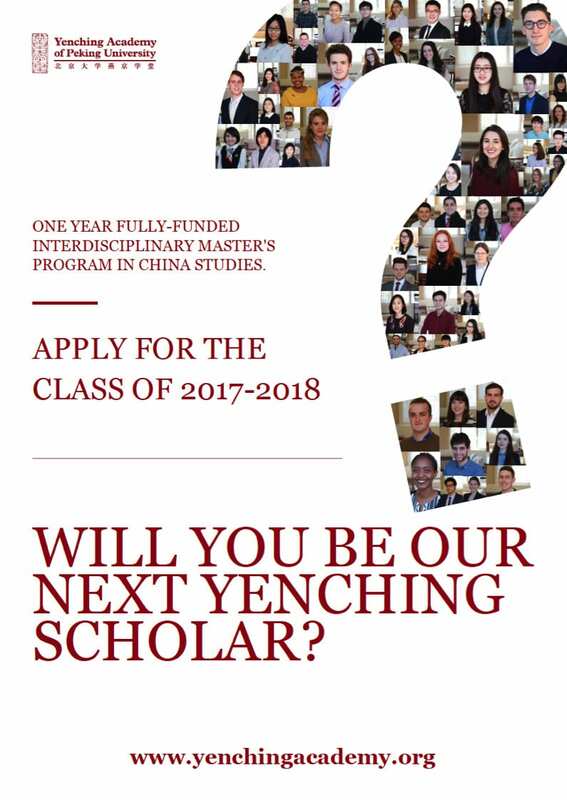 An excellent funding opportunity is again running for UCL students with an interest in China. The Chinese Government Scholarship scheme covers tuition fees, medical insurance, accommodation and a living allowance for successful applicants to study in China for a period of up to one academic year. UCL will be shortlisting nominations for this scholarship scheme. 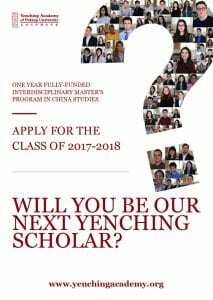 For more information visit the Chinese Government Scholarship website. 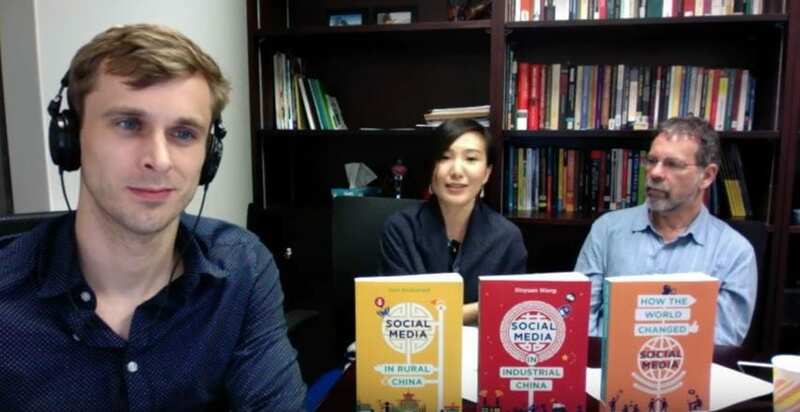 Author Xinyuan Wang is referring to her new open-access book, Social Media in Industrial China, which launched on 13 September along with its sister title Social Media in Rural China in a special online broadcast from Hong Kong University. 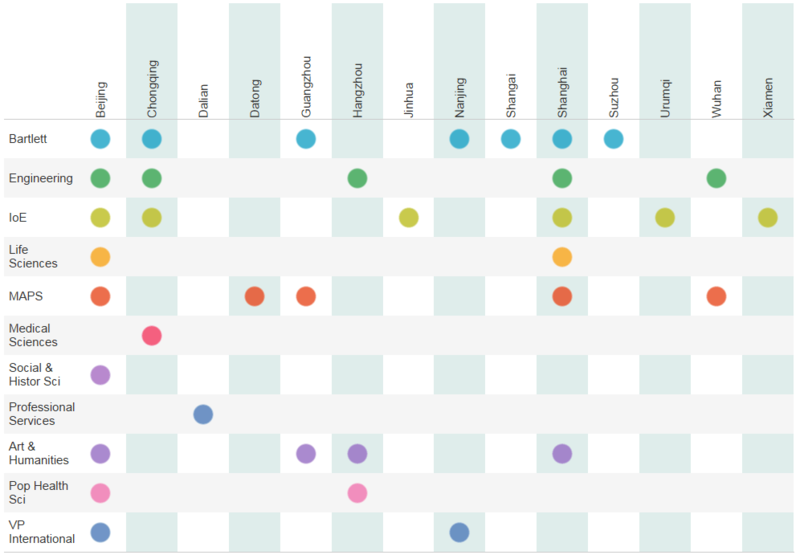 A PhD candidate at the UCL department of anthropology, Xinyuan spent 15 months undertaking fieldwork in a small factory town in southeast China, living in one of the factories and tracking the workers’ use of social media. By studying this marginalized population – who have, in many ways, embraced the potential of social media to the fullest – her in-depth research sheds light not just on Chinese social media usage, but also on the nature of contemporary China. 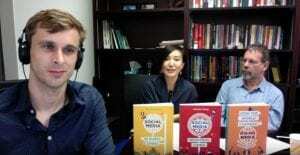 From 13-23 September Xinyuan is joining Professor Daniel Miller, the lead researcher of Why We Post, and fellow author Tom McDonald, who received his PhD from UCL anthropology and is currently an associate professor at Hong Kong University, in giving a series of talks about the project in nine top universities in Hong Kong, Guangzhou, Beijing and Shanghai. Why We Post saw a team of nine anthropologists each spend 15 months living in villages or towns in eight different countries. 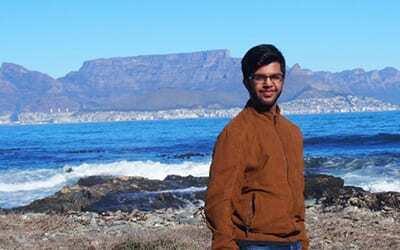 As well as two fieldsites in China, locations included a town on the Syrian-Turkish border, low income settlements in Brazil and Chile, an IT complex set between villages in South India, small towns in south Italy and Trinidad and a village in England. In China, Xinyuan found that social media is playing a key role in filling the gap left by the lack of education and schooling. She said: “For young migrant workers who dropped out of school early and became factory workers before adulthood, social media is the ‘post-school’ education and this schooling implies their ‘coming of the age’. All the books from Why We Post are being published by UCL Press as open access in 2016-2017. Xinyuan added: “The free online knowledge provided by Open Access allows the possibility of a significantly extended readership, which is extremely important for books focusing on how the digital can possibly change the lives of marginalised populations and low income populations. Forty per cent of the world’s population live in countries where lesbian, gay, bisexual and transgender (LGBT) people can be imprisoned, just for being themselves. UK charity Stonewall is fighting to change this and has launched a set of Global Workplace Briefings open to UCL staff and students to access the latest information. UCL has a history of opening up education to people previously excluded from it, and was the first UK university to join Stonewall’s Global Diversity Champion programme for international employers, helping to promote equality around the world. The new Global Workplace Briefings shine a spotlight on the situation for LGBT people in different countries, which will enable UCL staff and students planning to work overseas to keep up to date on changing laws and the potential implications. In more than half the world, LGBT people are not protected from discrimination under workplace law. The first set of briefings, which are available via UCL’s Equalities website, cover Brazil, China, Hong Kong, India, Italy, Poland, Russia, Singapore, South Africa and Turkey. Further briefings will follow later this year. Each briefing outlines the legal, socio-cultural and workplace situation for LGBT people in the specified country and showcases progressive workplace practices from Stonewall’s membership. They provide an important summary of in-country contexts for global mobility teams, helping them to identify where colleagues may need additional support when travelling internationally. 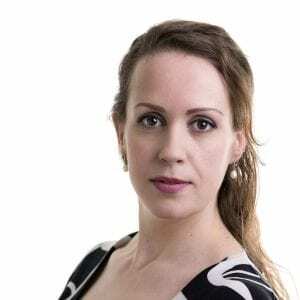 Dr Fiona Leigh, a member of UCL’s LGBTQ+ Equality Advisory Group (LEAG), said UCL is now working further with Stonewall to produce additional briefings specifically for those working within higher education. She said: “UCL is committed to providing resources and information for the safety and support of all of our staff and students, when travelling and working internationally. For the second time in as many years The Bartlett welcomed a large delegation of Chinese urban planners from several cities across Guangdong Province. The 10-day executive training course focused on the theme of ‘Urban Organic Renewal’ and drew on the expertise of The Bartlett’s senior academics – along with invited specialist guest lecturers. The training visit, undertaken on a commercial basis, celebrated The Bartlett’s warm and developing relationship with Guangdong Province. Beyond the 2013 training course Bartlett professors have participated in Guangdong’s ‘Mayors Fora’ and delivered workshops in Zhuhai, Guangzhou and Shenzhen. 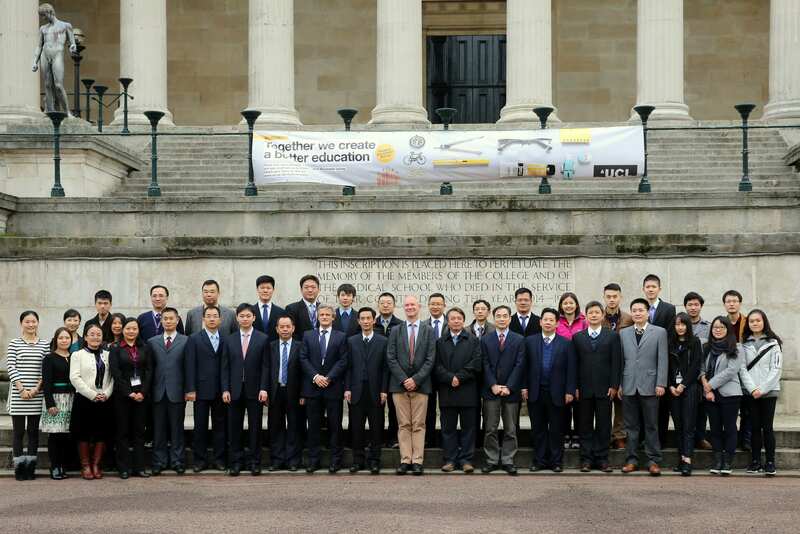 The delegation visiting UCL was led by President Zhang Zhaokang, Guangdong Urban & Rural Planning and Design Institute and included a former Bartlett Development Planning Unit alumnus, Ma Xiangming. 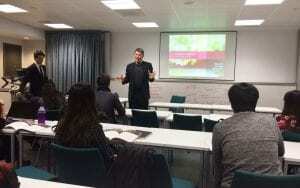 The training visit included 10 days at UCL, including lectures and site visits at which academics could showcase London’s approach to regeneration and renewal at locations including the Olympic Park; Kings Cross Station; South Bank; The Shard and Docklands. External guest speakers included Michele Dix, Managing Director of Crossrail 2, who is also a visiting Professor to The Bartlett School of Planning. The delegation used their remaining time in the UK by visiting provincial cities – including Edinburgh, Bath, Oxford and Cambridge – at which they met city experts and officials to learn more about the governance and challenges they face. One unintended coach stop was particularly welcomed by the delegation. 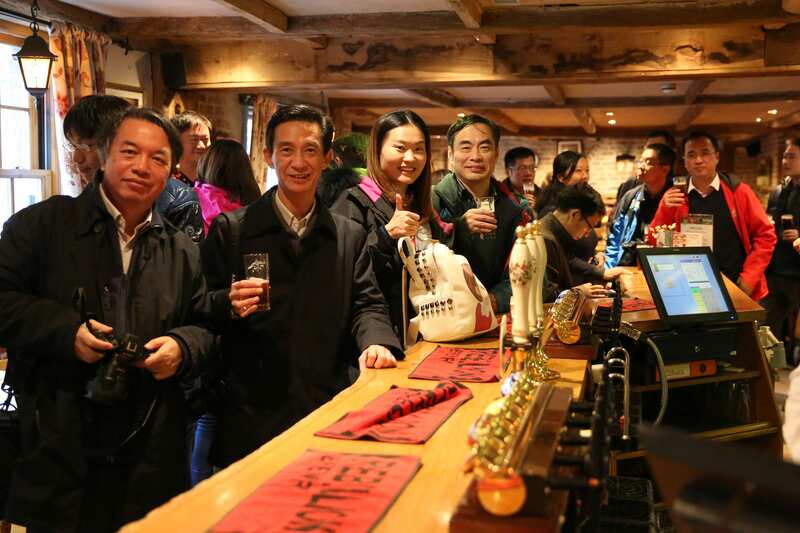 They stopped at the same pub where their President Xi Jinping joined Prime Minister Cameron to eat fish and chips and enjoy a couple of pints of Green King IPA beer just a few weeks beforehand! A good photo stop! A feature of this training course was the increased profile, contribution and support provided by the Bartlett’s Chinese ‘student team’ comprising 10 PhD planning students and one urban design masters student. 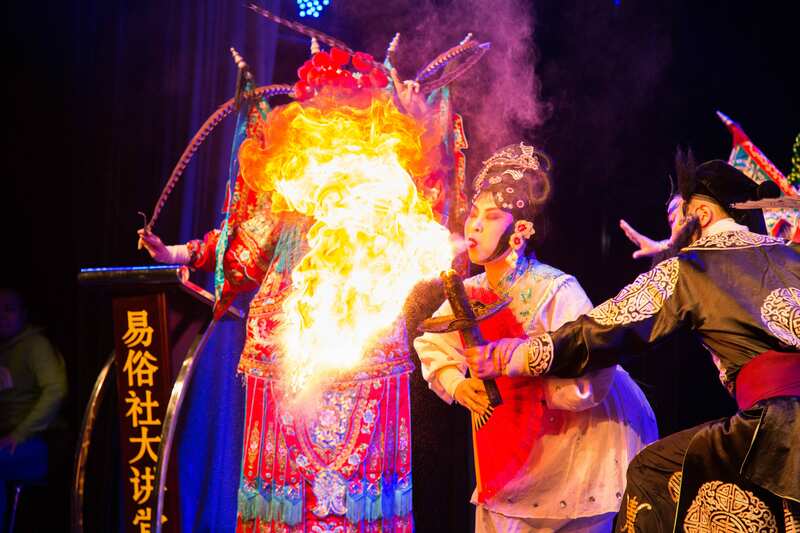 It gave them access to meet and socialise with influential Chinese planners and hopefully this will be helpful to some in their future careers upon returning to China. 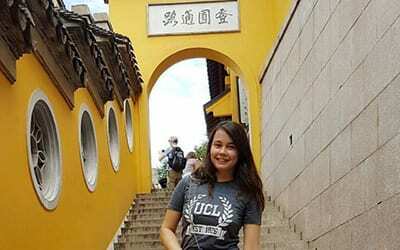 An excellent funding opportunity has arisen for UCL students with an interest in China. The Chinese Government Scholarship scheme covers tuition fees, medical insurance, accommodation and a living allowance for successful applicants to study Chinese language for a period of up to one academic year. For more information about the Chinese Government Scholarship programme, visit their website.